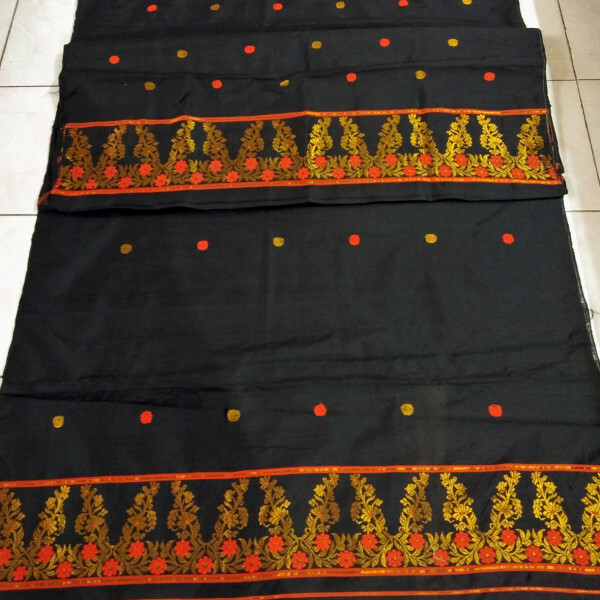 It’s a fine quality Ludhiana paat Mekhela sador on Black colour having Guna and Orange xuta work. 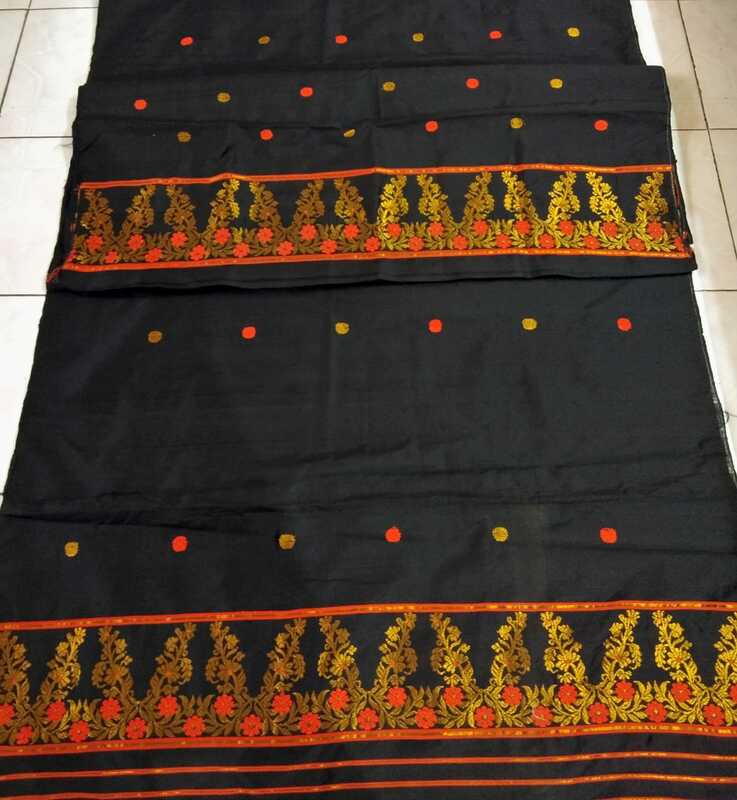 Blouse piece on Black colour. 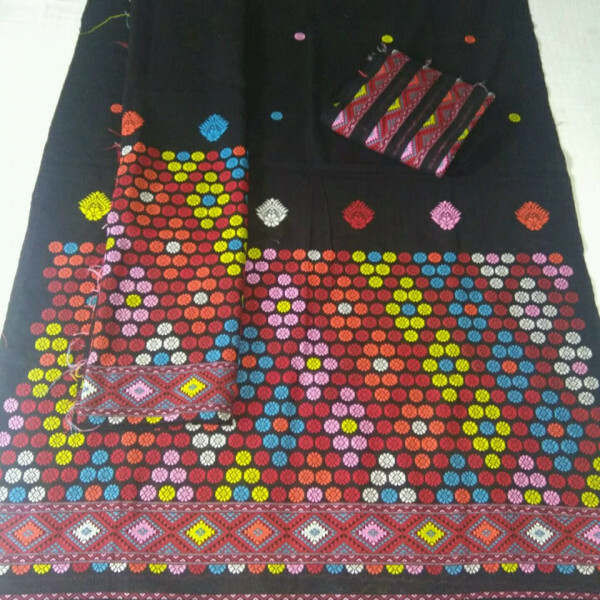 Having a blouse piece on Black colour this set is looking very bright with Side border of the Sador. 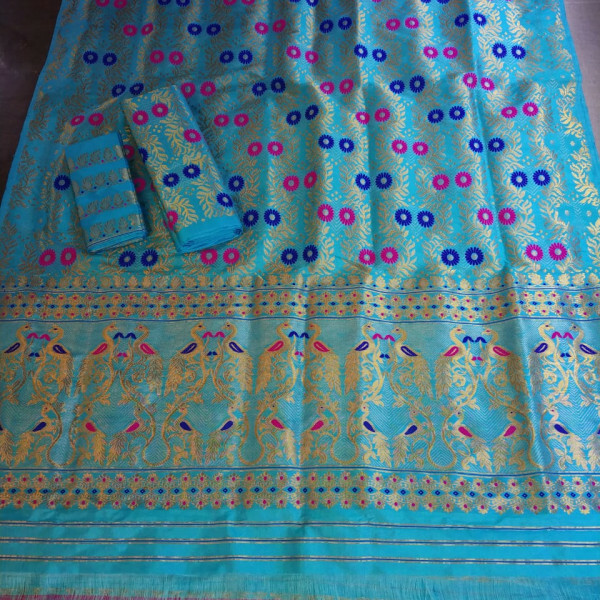 Both Mekhela and Sador are of same design. Material care: Both hand wash or machine wash.